Hold onto your butts, folks: it’s been confirmed that the Deadpool red band trailer will blow the doors off the Internet on Tuesday. At this stage, it’s unclear whether the footage will be the same cut as that shown to Hall H attendees during San Diego Comic-Con. But hey, when you consider that the sizzle reel left the audience chanting “one more time,” you’d be forgiven for struggling to keep a lid on your excitement. It was only a matter of time before the Deadpool footage was formally released to the vying masses, after Reynolds noted that the trailer would be ready and waiting in three weeks’ time. Now that the wait is almost over, we can expect the green band trailer to be attached to Fantastic Four when it releases at the beginning of August. Since taking Comic-Con by storm, Tim Miller’s no-holds-barred adaptation has gradually been releasing new assets, including high-res screenshots that showcase the film’s motley crew of characters. Reprising his role as the enhanced mercenary is Reynolds, while Deadpool will also see the likes of Brianna Hildebrand’s Negasonic Teenage Warhead and Firefly‘s Morena Baccarin assume the role of Vanessa Carlysle. 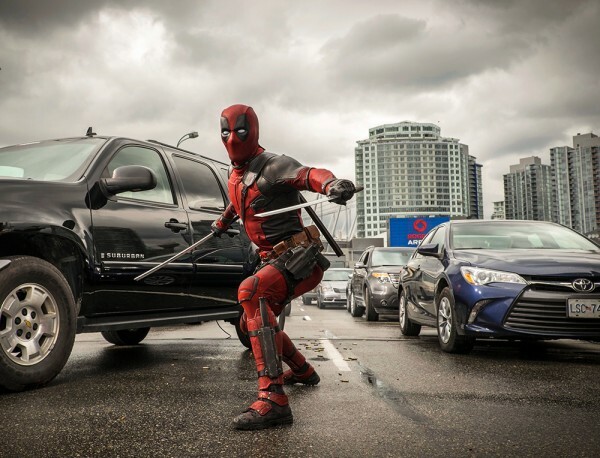 Tim Miller will bring the Merc with a Mouth to the silver screen when Deadpool lands in theaters on February 12, 2016. Check back on Tuesday when we’ll have full coverage of the red band trailer.